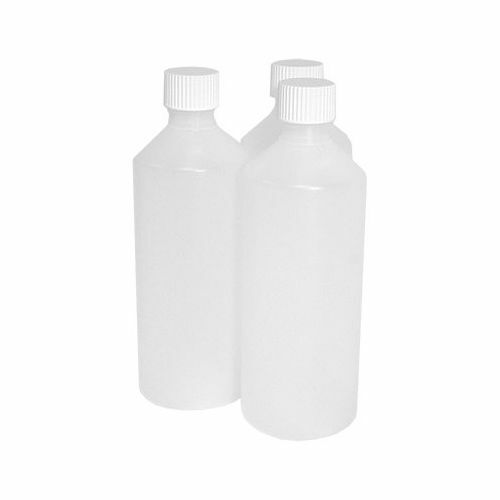 These natural plastic bottles are constructed from hardwearing and durable HDPE (heavy duty polyethylene) which means they will stand up to the rigours of everyday use. The plastic is food approved and makes them ideal for food-based products as well as detergents, oils, cosmetics, toiletries and more. This range of plastic bottles has an angled shoulder, 28mm neck, and a ribbed screw-top cap that provides a seal tight fit to effectively protect the contents. Food approved making them ideal for food-based products as well as detergents, oils, cosmetics, toiletries and more.